....airplanes in the night sky are like shooting stars? I could really use a wish right now. Sorry about that, but I have had that song firmly lodged into my chaotic adolescent mind all week. And all the weeks before that. Ever since I heard it on the radio last month in fact. Anyhoo, the 21st of June will see the release of Manix 4, return of the antagonist from Manix 2. Starring Michelle Rodriguez and Anna Paquin. In other news, for my 16th birthday (which I noticed none of you commented on, now I know how things really are), I recieved a large number of books. The first one I have read is Barefoot Gen, a semi-autobiographical Japanese cartoon about a child growing up in Hiroshima right before the Yankees dumped 18 kilotonnes of instant sunshine on top of it. 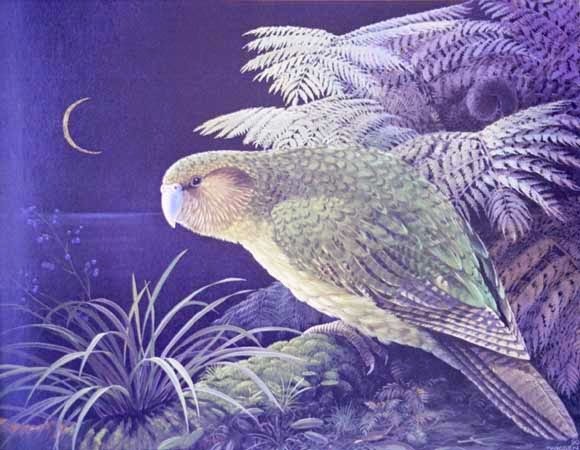 Sorry to those who tried, but because I recieved no replies concerning it I had to assume no-one completed the Kakapo challenge. No cookies this time. And now for you're next challenge: donate 10$ to me! Just kidding (although that does'nt mean you don't have to). Seriously, your next task is a special one. You see, reading Barefoot Gen (see above) has served to highlight for me the fact that violence of any kind is not the answer (unless the question is what word begins with V, has io in ther middle and ends with lence) in light of this, your next task is to find one person you don't like, and spend at least one day being nice to them. Well folks, I have to rap this up. See y'all soon!